As the gadget-making companies around the world are already churning out alternatively charged versions of the existing products, some Instructable user has also tapped his eco-sense to make a solar powered DS. 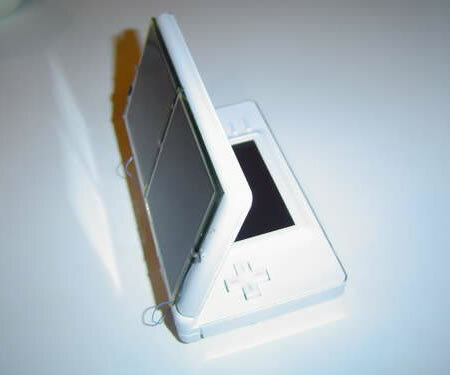 Dark sponge believes that the popular Nintendo DS Lite sports a form that is ideal for planting solar panels on it. Wonder why none of the designers at Nintendo ever think about this green move. This young dude was keen to at least charge his console by sun’s rays. 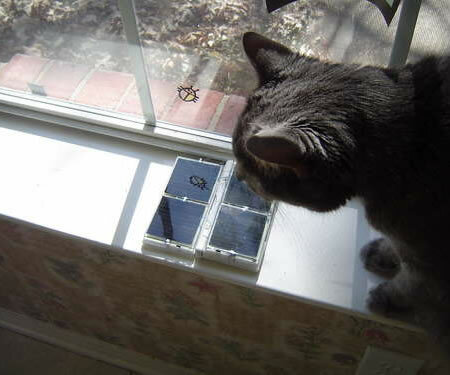 So he grabbed four 60x60mm solar cells and fixed them on top as well as rear face. A total of 6 volts at 80 ma, can be squeezed out to charge the battery. He also claims that ever since he has tweaked his DS with solar panels, he has never plugged it to socket. However to charge up such a device, you will need to keep it open in the sun. Isn’t that supposed to be a complete NO for such a gadget until unless it is fitted with complementing batteries and other components that are specifically designed to bare the sun’s heat? Well the guy also warns the readers to avoid keeping it out in sun all day. If you are sold to this DIY eco-project and intend to modify your DS over the weekend then hit here for step by step instructions.